Big Al's Sinker & Lure Shop got its name 40 years ago when I was little Al and Big Al started pouring sinkers in his shop. My Dad collected sinker molds, so the company has a wide variety of sinkers - some of which are no longer available on the market. 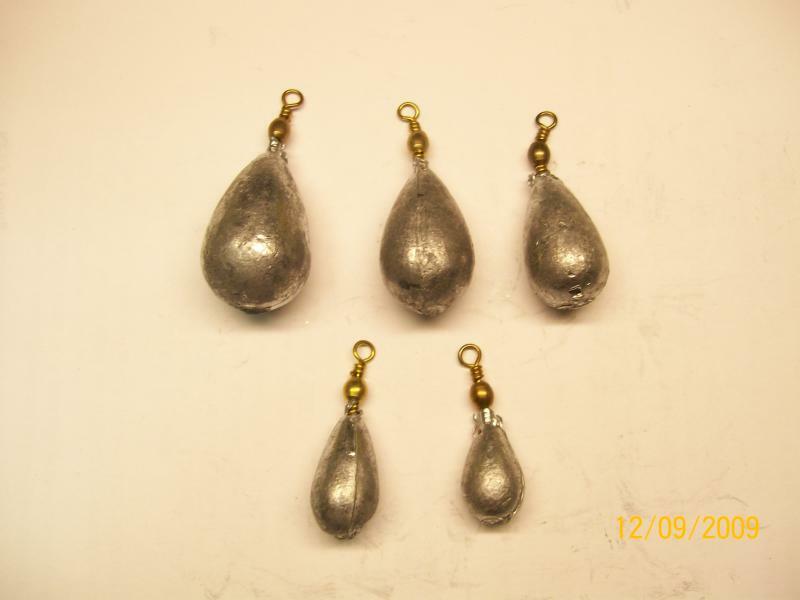 We list some of the popular sinkers, but if you are looking for something special ask for information. Also, because of the great cat fishing in area lakes, hooks became the next item that was in big demand by the local fishermen. Thanks, Dad, for introducing me to fishing. All sinkers are 35 cents an ounce. Egg - 1 2 3 4 5 Oz. Pyramid - 2 3 4 Oz. Flat - 1 2 3 4 5 6 Oz. Round - 1 2 3 4 5 6 Oz. Bank - 1 2 3 4 5 6 7 8 Oz. Walking - 1 2 3 Oz. Cone - 3 4 5 6 Oz. 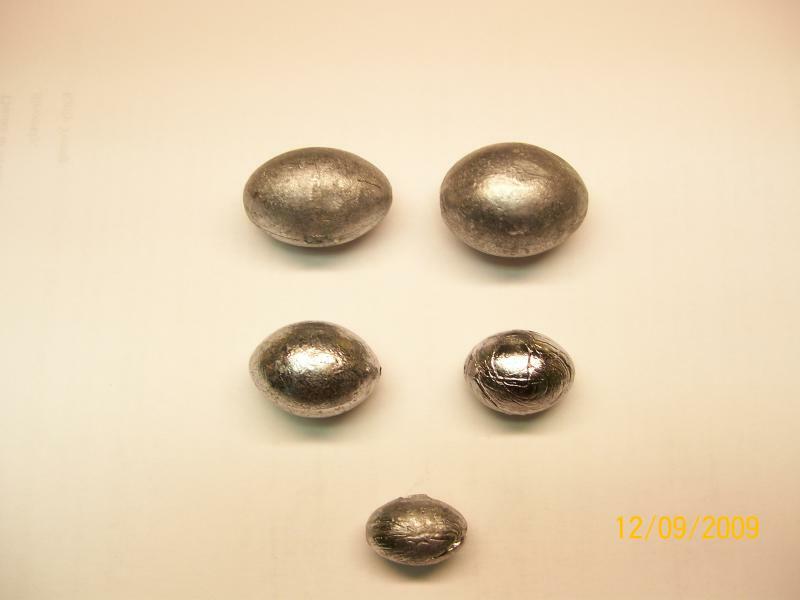 Cannon Ball - 2 3 4 5 6 Oz. Swivel - 3/4 1 2 3 4 Oz. Many more items to come.